I guess I wasn't prepared for how many people have a devotion to St. Francis de Sales! He's a very quiet guy in my mind, that St. Francis. He's not the OTHER St. Francis that everyone always talks about. This Francis's feast day is in January, when everyone is bemoaning how much they loathe this post-Christmas winter time of year, and I think he gets overlooked a lot. I found him because he is the patron saint of writers, and for the past few years I've prayed his novena in mid to late January. 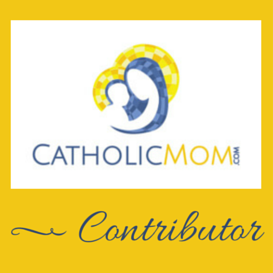 When I write for Catholic Mom, I tend to write pieces that are very tied to the seasons and/or liturgical calendar. Last year I wrote about the feast of the Baptism of the Lord, so this year I switched over to St. Francis de Sales, whose feast is January 26th. ...and I have to say, I got rather intrigued after reading the sample. I think this would be a very useful book for me during the semester crunch that proved so crippling to me in the fall. I'm thinking that this may provide excellent journaling fodder for us during this stretch of Ordinary Time before Lent. Indeed, we still have some time before Lent, as Ash Wednesday isn't until March 1st this year. Thoughts? St. Francis de Sales had a very understandable, relatable vision of holiness for laypeople. I like his everyday occurrences view of how we can become happy and holy. Let's just say that after Barb alerted me to this book in the comments over at Catholic Mom, I innocently added it to my cart over at Amazon, and then by the end of the day, had checked out. :0 It's now winging its way to me, and will be here tomorrow. Do you want to read along?! There is also a Kindle version available, so an instant download possibility. Right now, the book is $11.99 in print, or $9.99 for Kindle, over at Amazon. Take a look at the preview, and let me know your thoughts! *Fun side note! If you would like a St. Francis de Sales rosary like mine, Allison currently has it listed in her Etsy shop, and use coupon code CATHOLICMOM for 10% off! Just downloaded & started reading the sample (yes, even though the book is on its way to me! I always forget I can do that) and it does indeed sound perfect! Gina, AWESOME! I'll post an intro about it next week, and we can plan out a schedule! Just ordered the book! It will be here Saturday! Sam, HUGS! I'm so excited for all of our Together Reads coming up! From the table of contents this book looks like something I should be reading so I'll order it tonight. 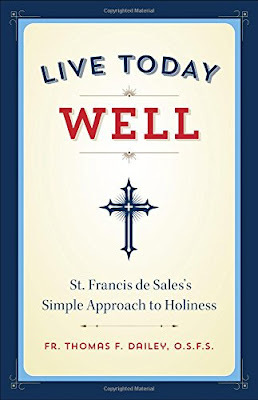 I'm looking forward to learning more about St. Francis de Sales from reading this book.